Tags: bread proofer, Intermediate Proofer. 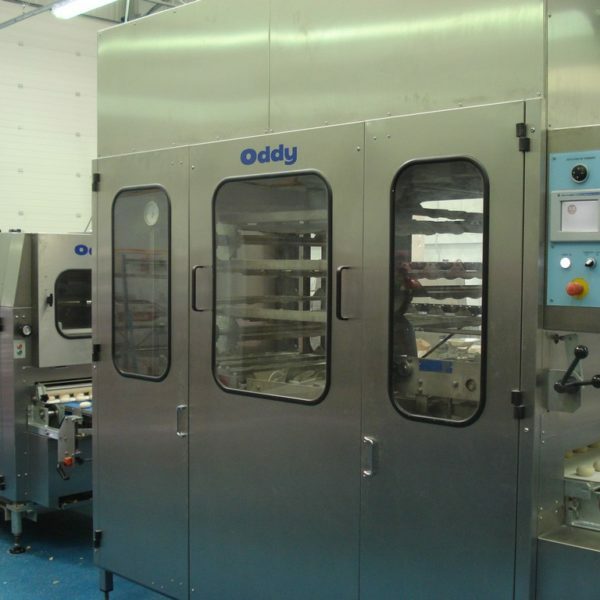 The Box proofer which is an up and down transportation of the dough products in pockets, the size only being restricted by the ceiling height of the bakery. This shape of proofer usually takes up more floor space but is a more cost effective design. 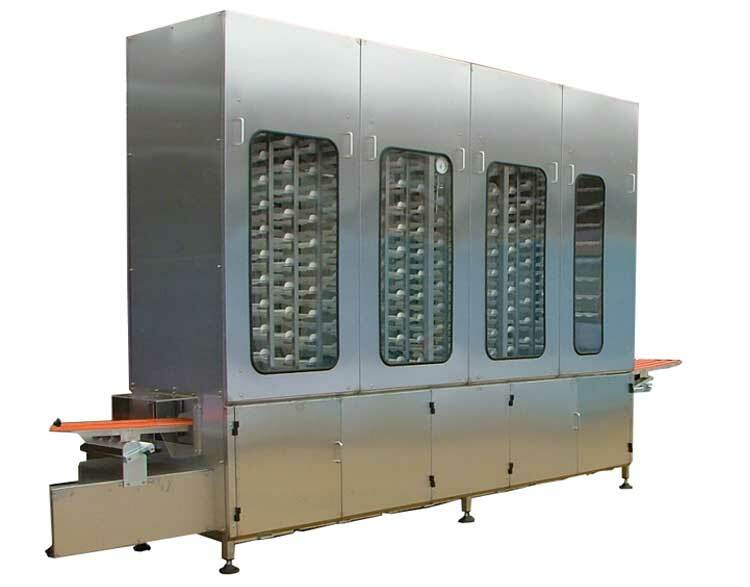 The ‘L’ shaped prover (known as an up and over proofer) has a small base frame where the products are loaded into the prover and then they are transported in pockets up and then over the top of the downstream bakery equipment. Legs support the section of proofer above the downstream bakery equipment. This prover is a more complex design but the footprint is kept to a minimum. Both designs of proofer do not have heat or humidity controls, but do have a thermostatically controlled ventilation fan. 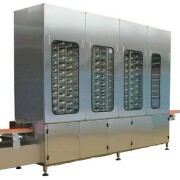 The prover size is based on the customer’s product output from the divider (rows per minute) for a specified rest time. The pocket cups can be easily removed from the prover for cleaning. 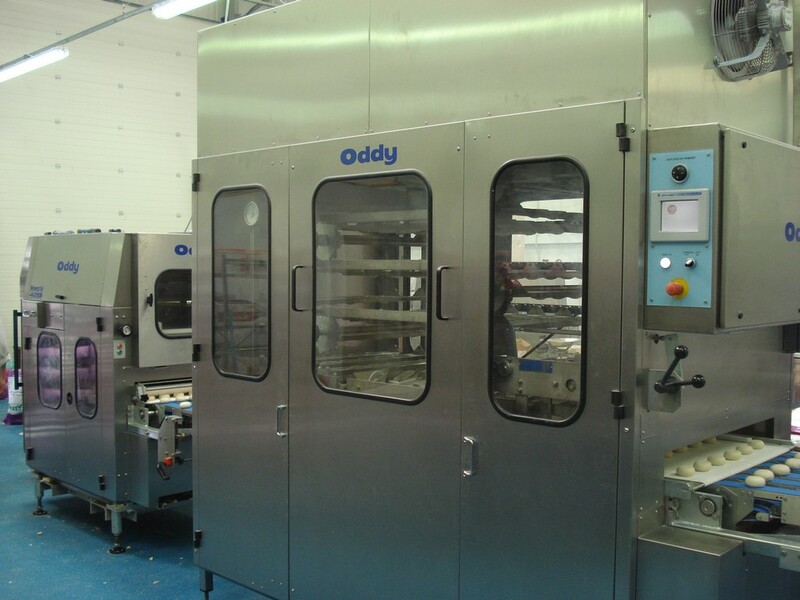 Provers can be designed to be driven by the upstream divider/rounder or have integral motors.